Naturally Matte eye shadow palette is back by popular demand, this versatile selection of flattering crease resistant shades is packaged in a sleek, mirrored rose gold slim compact with a dual-ended wand for easy application resistant shades is packaged in a sleek, mirrored rose gold slim compact with a dual-ended wand for easy application. Jane Iredale Eye Shadow Kit . The highly pigmented shadows are simple to blend, sensitivity-tested and they stay put for gorgeous, crease-free, long-lasting eye colour. Purchase two Jane Iredale Eye Shadow Kits – Naturally Matte and receive £5.00 OFF – Simply enter ‘Matte’ at the checkout. 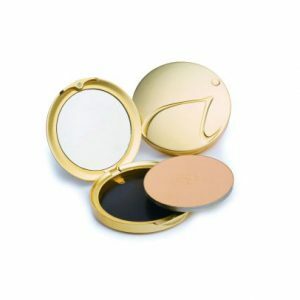 Jane Iredale Eye Shadow Kit Available at Cosmedic Online. The highly pigmented shadows are simple to blend, sensitivity-tested and they stay put for gorgeous, crease-free, long-lasting eye colour. The Jane Iredale Eye Shadow Kit is an established and trusted kit for all occasions.